Sample preparation for RPA, MDR, and Mooney instruments is made safe and simple with the VS volumetric sample cutter. This dual-action pneumatic system allows for the preparation of uncured rubber specimens of a user-defined volume. Preparing samples in this well-controlled fashion reduces operational variability, greatly improving overall experimental precision. 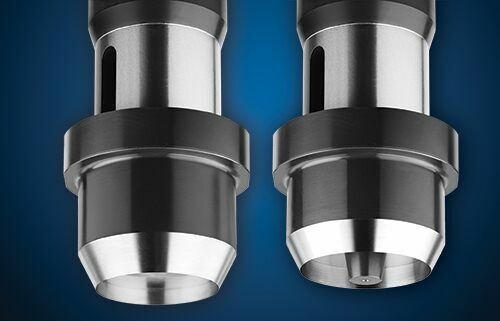 The VS comes standard with a closing pressure of 6 bar. The sample is first compressed to the user-prescribed thickness, then cut to the die diameter. The closing pressure, and sample volume are user adjustable. Two handed operation and lateral guards guarantee safe operation at all times. 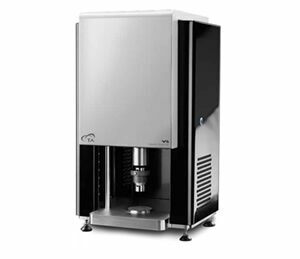 The VS Volumetric Sample Cutter can be configured for either the Mooney Viscometer or rotorless rheometers and curemeters. The MV one Mooney Viscometer uses two 40 mm diameter samples, one above and one below the rotor. A hole is removed in the center of the sample to ease insertion. Standard RPA and MDR samples are single piece discs cut to meet volume specifications per ASTM, DIN, and ISO standards.